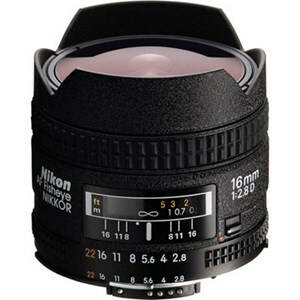 Full-frame, 180-degree fisheye coverage with Nikon's advanced D-type autofocus lens technology. Bright f/2.8 aperture for photographing in dim light or with fast shutter speeds. High-contrast images even at full aperture. Close-Range Correction (CRC) system provides high performance at both near- and far-focusing distances. Nikon Super Integrated Coating for minimized flare and ghost providing good color balance.